More than 6,000 happy clients can testify their satisfaction. In fact 98% of our surveyed clients confirm that they would buy again from Taylor Wimpey Spain. One of those who bought a second home in Spain from overseas in 2018 was Marc Dechoux. Marc purchased a home at La Floresta Sur on the Costa del Sol, where key-ready homes are available now. The two-bedroom homes are just 40 km from Malaga’s international airport, nestled among numerous excellent golf courses and the nearby beaches of Elviria, Cabopino and Bahía de Marbella (Marbella Bay). Eef and Lydia’s changes were easily incorporated into their apartment and the couple were delighted with the results, which were just as they had hoped. They purchased an off-plan apartment with Taylor Wimpey España at Los Arqueros Beach, San Pedro de Alcantara, a few kilometers from Marbella. The couple wanted a number of modifications to their holiday home, including a larger living room, a bathroom combined in an open plan format with the bedroom, changes to the kitchen and larger doors. Eef and Lydia’s changes were easily incorporated into their apartment and the couple were delighted with the results, which were just as they had hoped. They are now enjoying their second home for frequent holidays, while planning their retirement move from their native Netherlands to the Costa del Sol. There's no wonder so many mainland Europeans are buying in Spain! “Dealing with Taylor Wimpey gave me confidence my deposit would not go south and it is an established resort so we know it will be completed and the facilities will be maintained. We intend to come here at least eight times a year and I can continue to run my online fancy dress hire business. Spain is well developed and almost on a par with the UK for broadband and internet access as well as shops and other facilities”. The weather was another major reason for choosing southern Spain. "We fell in love with the resort"
Mark White and his wife Lindsey, who are from the UK, decided to buy in Mallorca after holidaying on the island and discovering its ease of access from home, the good weather and long beaches. The couple now own a two-bedroom apartment of Taylor Wimpey in a small development in the resort of Puerto Pollensa, on the north-east coast. 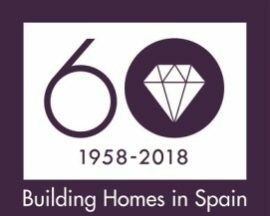 “The name Taylor Wimpey was instrumental in choosing a second home in Spain. We had the confidence that the service and quality of build would be the best and we were not disappointed. From reservation to key release we found the whole experience stress free and enjoyable. We had help and assistance with everything we required including ordering our furniture for the apartment via the sales team and received photographs of the apartments build progression every week by e-mail. Our purchase is an apartment with sea views at the Taylor Wimpey Cala Magrana development situated near the Caves of Drach just outside Porto Cristo in the province of Manacor on the North Eastern side of the Island of Mallorca. Our main priorities as a family prior to purchasing were to have a new build property, a good quality of build with good after sales facilities, well thought out designs, good quality specification, good surroundings with well-kept gardens, communal swimming pools plus easy access to Palma Airport with a travel time within one hour. All this we found at the Cala Magrana Development.